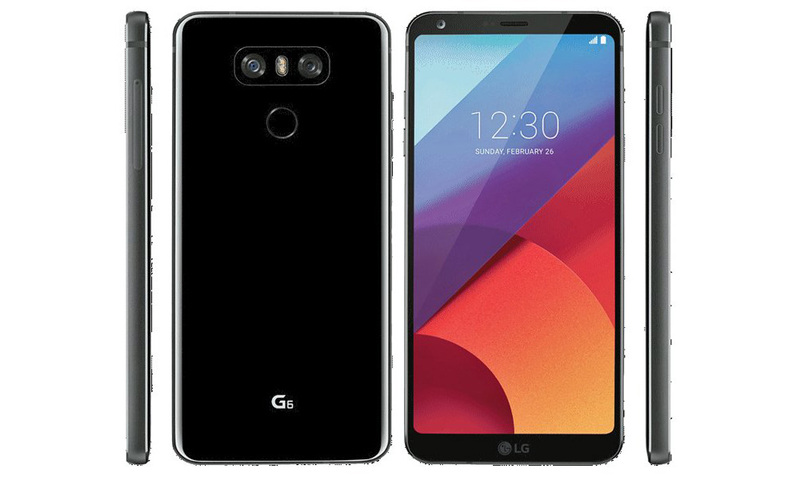 Thanks to Evan Blass, we now have what appears to be an official press render of the LG G6, showing almost all angles, outside of the top and bottom. So what should we take from this? Quite a bit, actually. On the sides, we have volume rocker, SIM tray (likely doubles as SD card tray too), and a metal frame. That’s all good, but nothing ground breaking. However, you get an expanded view of the overall design and minimal bezel on the front, which is sure to be a selling point for LG to push. The 5.7-inch QHD+ LCD display with its 18:9 ratio, does appear to take up almost all of the front, just like we saw in leaks. There is still some bezel, which I actually appreciate as someone who hates the idea of unwanted touches happening as I grip a phone that lacks all side-bezel. As for the back, you can see the double-camera setup that LG announced as dual-13MP shooters. The fingerprint reader is there as well, and it should double as the power button, just like the past half-dozen or so LG devices. Finally, you’ll notice that the camera housing is flush to the body, unlike the V20 and G5 from last year. Again, this looks like all of the leaks that have popped up over the past month or so. Thoughts?